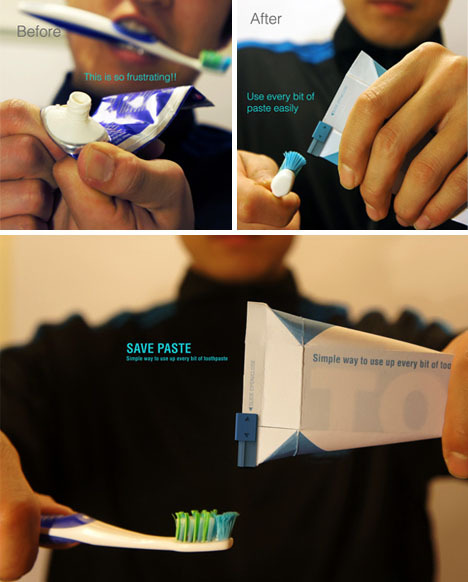 Solving the toothpaste container leftovers issue is almost a cliche in design circles, but all that effort was also bound to pay off with something truly unique and ingenious like this solution. 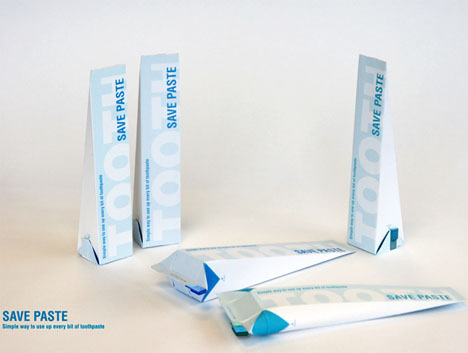 SavePaste by Sang Min Yu & Wong Sang Lee tackles two packaging issues in one bold stroke, eliminating the box that toothpastes are normally shipped and sold in while also helping you squeeze the last little bit of paste from the tubes. 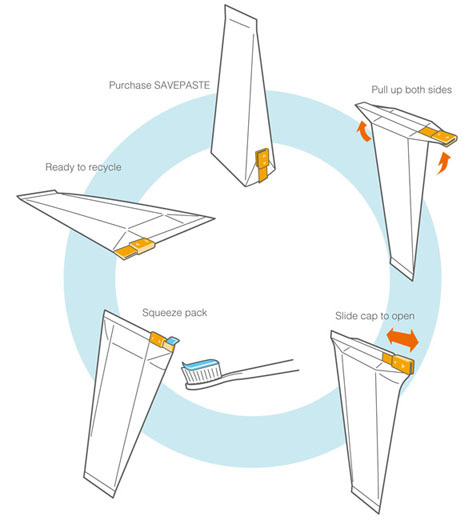 A series of folds enables a simpler squeezing process than the typical rolling technique (which always comes unrolled anyway), and allows for more tightly-packed configurations for shipping and handling purposes (fitting the same volume of paste into much smaller spaces). 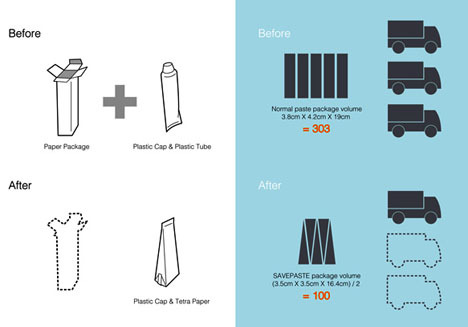 At the end of its life cycle, the box/tube can be packed flat for easy recycling as well.